21.02.2015. Sale, England. Aviva Premiership Rugby. Sale Sharks versus Saracens. 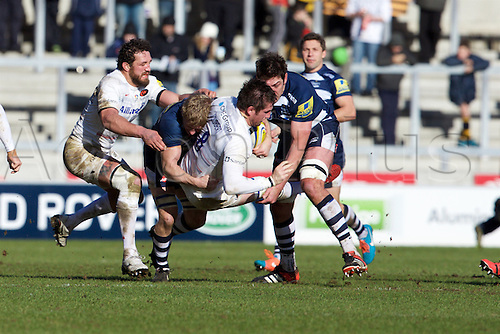 Saracens flanker Jackson Wray is tackled by Sale Sharks lock Nathan Hines.